Sir William Davenant (1606-1668) - Poet Laureate and Civil War hero - is one of the most influential and neglected figures in the history of British theatre. He introduced `opera', actresses, scenes and the proscenium arch to the English stage. Narrowly escaping execution for his Royalist activities during the Civil War, he revived theatrical performances in London, right under Oliver Cromwell's nose. Nobody, perhaps, did more to secure Shakespeare's reputation or to preserve the memory of the Bard. 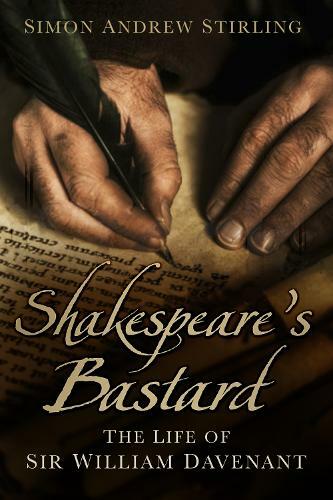 Davenant was known to boast over a glass of wine that he wrote `with the very spirit' of Shakespeare and was happy to be thought of as Shakespeare's son. By recounting the story of his eventful life backwards, through his many trials and triumphs, this biography culminates with a fresh examination of the vexed issue of Davenant's paternity. Was Sir William's mother the voluptuous and maddening `Dark Lady' of Shakespeare's Sonnets, and was he Shakespeare's `lovely boy'?